After the Emmy-winning fifth season of Game of Thrones, approved it seemed like the HBO drama might have hit its peak but now as the HBO drama’s sixth season begins, it’s hard not to rejoice that the show has returned full speed ahead. Looking back now, it’s easy to see how the show’s fifth season set some of the plot’s key elements in place which have guided us to this enthralling new season. After airing only two episodes so far, it’s now tremendously clear that this season will be packed with twists and surprises which could make Game of Thrones season six the program’s best season yet. 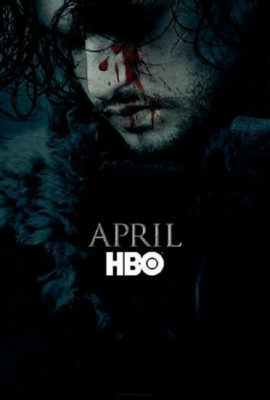 The new season opens with a shot of the deceased Jon Snow (Kit Harington) lying helplessly in the snow after being knifed repeatedly by Snow’s own lieutenants at the wall. Over the past several months, there have been rumors about Snow re-emerging from the grave but the first episode doesn’t focus on that mystery (fans had to wait until episode two for that story to unfold). Instead, it broadly and meticulously sets the scene for what promises to be a bloody but exciting new season. The premiere featured several major long-awaited events, which offer great promise for this year. The courageous Brienne of Tarth (Gwendoline Christie) re-united– hopefully, this time it’s more permanent– with Sansa Stark (Sophie Stark), the frequently abused daughter of the late Ned Stark . Cersei (Lena Headey) and Jaime Lannister (Nikolaj Coster-Waldau) finally realized that their plans for a unified kingdom were naïve and that their days in power will likely always be plagued with tragedy and death. Last but not least, the truth about the mysterious Melisandre (Carice van Houten) was revealed in the episode’s final moments. If episode one wasn’t shocking enough, episode two turned the show on its head with more surprises courtesy of stories surrounding Snow, the traitorous Ramsay Bolton (Iwan Rheon) and the strident Balon Greyjoy (Patrick Malahide). In this season (more so than the previous ones), it feels like everything is at stake and anything could happen. Up to this point, the show has been marked by major twists. The death of Ned Stark. The Red Wedding. The Purple Wedding. These were major events that shocked viewers during their respective seasons. Now, it seems like every episode features at least one major shock and surprise. Many of these twists might have to do with the fact that showrunners David Benioff and D.B. Weiss have passed much of the source material that was provided in the George R.R. Martin book series. Now, they are free to move forward freely without consulting the text first. It also might help that there have been rumors that the show could end in the next few years so now, really anything can be at stake. So far this season, there haven’t been a lot of notable new characters, which means that the main characters have received more screen time. That gives actors like Headey, Alfie Allen (who plays the tortured and abused Theon Geyjoy) and van Houten prime opportunities to showcase their characters’ new-found vulnerabilities. Each of these characters have been vilified in the past (for good reason) but here they all have a nice chance to reveal some of their own painful vulnerabilities. It’s these smaller-scale emotional moments that give these harsh characters a depth that hasn’t been fully appreciated in the past. As always, Game of Thrones continues to expand its landscape even while it focuses in more on its main characters. With tremendous production values and beautiful locations that immediately transport viewers into locations as varied as an icy wall to the ornate King’s Landing castle to the desolate war-weary Winterfell, the show is one of the most tremendously massive and it’s hard not to appreciate the astounding visuals on display in each episode. As always, it’s hard to know where the show’s stories will go this season but with so many massive moments in the first two episodes alone, it’s easy to see that this sixth season could be Game of Thrones‘ best one yet.